Linux Mint 10 “Julia” released! The team is proud to announce the release of Linux Mint 10. To upgrade from Linux Mint 10 RC, simply apply any level 1 and 2 updates (if any) available in the Update Manager. after using mint, I became your fan. Thanks for all the great work! Downloading….. Cool. also do 3g usb modems work on this? Thank you sooo much. Downloading and sharing. i have had no updates on my julia rc, since november 5th. is that ok? I found it last night on the UK mirror and installed it on my 64 bit desktop. We are now getting acquainted and making it to do what I want! The only issues so far have been with Audacity and Pulse Audio and I think I’m now getting on top of them. For developers, this is an area which requires work. It is far too complex for what we need and is crying out for simplification. Overall I’m very impressed, well done Clem and the team. Since the 5th i have had 1 level 1 update which was mint translations and 22 level 3. A couple of the level 3 were for chromium. With madness that has taking over in Canonical, I think Linux Mint will receive, in open arms, more and more users who aren’t pleased with “Emperor Mark Shuttlewood”. Long live to Mint !!!!!!! i want to download now..
OH JULIA! Oh JULIA! Welcome! We love you! Thanks to the whole Mint Team for this great release. Thank you very much! Good job! Best wishes! linux mint 10 julia final??? OMG! Mint 10! Thank You very very much! gracias gran trabajo pero prefiero la lts. Thanks guys, this is the best distro I have used thus far (And I have been using Linux since the 90’s) I bought a new Compaq laptop just for it and everything worked right out the box, even better then Ubuntu 10.10. If Ubuntu 10.10 is the ‘Perfect 10’,is this (‘10.10.10’) even more perfect? Roll on the Openbox version (hint). Wahoo!! I’ve been enjoying the RC (64bit) for some time. Just one small little detail when it comes to linking to this blog page: When I post the link on facebook, the first thing people get to read after the headline is “to get more information about these problems and their solutions…etc..etc. One just might think that this is not the ideal first impression one might want to make…. O.K. guys, time to get some sleep. Finally… I am so happy! Congrats Clem and the wonderful team…! Seems to be lot of hard work and effort has gone into this to make it AWESOME from round the corner’s 😉 ! Great Job ! When will they be out.. ? Is it the last release with an ubuntu base? Outstanding work and my congratulations to the team for a job well done! Excellent news!!! The very best release ever! Thank You very much!!! Mint Rulez! Congratulations to the WHOLE team… that works HARD for a free product. Although it is a free product, I would kindly like the ENCOURAGE the readers and fans to contribute… even a buck is great! C’mon, guys! Clem & the team work hard for us! They read our complains, take our suggestions, have a hard time to develop a (GREAT) distro not based on a scheduled date, but on QUALITY. Let’s keep’em motivated, guys! They could be doing something else – even at nights – but they don’t. They could be doing something else for THEMSELVES, nor for us… but they don’t! The main benefit for this distro comes for US. The users. One single minute to contribute, guys. Thanks! Nice one to Clem and team. You really make it seem so easy with your view but I find thistheme to be truly something which I guess I would never understand. Running it right now on my laptop. 🙂 LOVING IT!!! congratulations, Julia is beautiful and feels a lot snappier. thanx everyone!! Estava precisando de uma distro GNOME. Does anyone have LINUX MINT running on their ASUS 1215N laptop? I have it running — nice and fast — I over wrote my Windows 7 partition [ “I Don’t Do Windows”, and have only Linux 10rc. I noticed some mention of a proprietary Video Driver for the Asus 1215, tried to install / activate the Video driver, but it crashed my Linux Mint 10rc, so I had to re-install. Anybody with a fix or the same problem?? 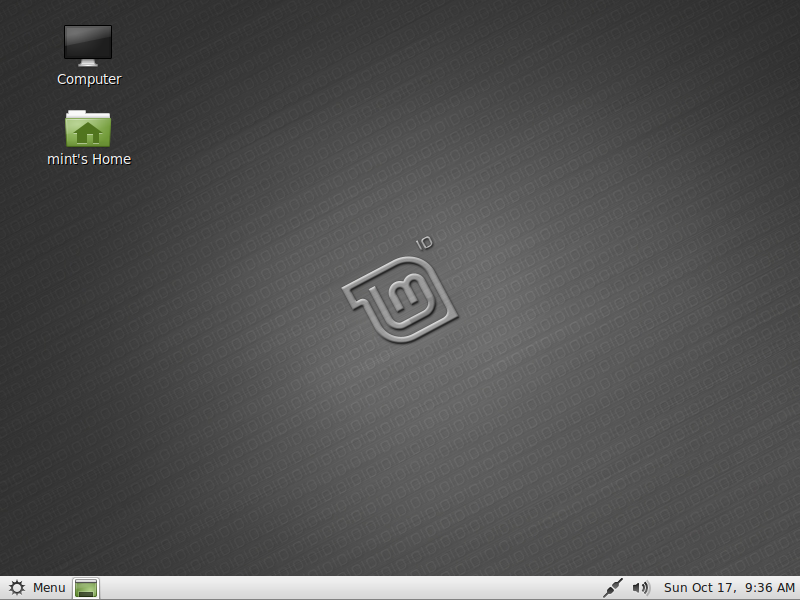 Pingback: Mint-Italia » Blog Archive » Rilasciata LinuxMint 10 “Julia”! I only hope that the DVD upgrade issue is solved. The reason I’m saying this is because even after upgrading to the DVD version (when I was using the RC) my VLC player could not sometimes read some block on the DVD. Consequently the DVD stopped playing. I tried several DVDs most of them had the same issue. There’s nothing terribly interesting about “just another lame Ubuntu spinoff”, no matter how much polished it is. If there is a future for Mint, this is bundled with the Debian Edition. Ubuntu is a noob quasi-distro which is severely flawed by design. once upon a time, there was a operating sysytem who called with linux but now, there is better one “julia”. it is perfect. The main download website seems to be down. Can someone please post the torrent links here. Thanks! I’ve been playing around for some time with Ubuntu 10.10 and LM 10 RC on the same computer. I got the impression that Mint is a bit quicker and more responsive. Has anybody else experienced this? Is there any reason for it? Best release so far. Share your precious bandwidth! Help get Mint to the masses by downloading the torrent(s) and spread the good bytes like Johnny Appleseed! Your fellow Mint lovers will be grateful! The best Gnome distro so far for my netbook, using RC on the second partition but using Mint 9 LXDE for the basics (blazing fast) and hoping a Mint 10 LXDE will fix my wireless issue (only required kernel upgrade). Any plans? Runs very well on a 1005HA-M EeePc! Je tiens à remercier toute l’équipe. I’ll give this a try tomorrow. The RC was 99%. Hopefully the issue I was having with my older Dell Latitiude X300 WiFi firmware was resolved to make it 100%! Running off my external and i just have to say i loves it so. I primarily use Fedora due to school but the best thing about graduating is a degree and full time use of LinuxMint the finest OS that ever has been or ever will be made. I was Windows user before Gloria came into my life; since then I do nothing but praise the Linux way, I’ve turned a couple of my friends into Linux users, I see Windows computers as a nuisance now, all of this because of you guys, Mint opened my eyes :D, I’m so amazed on how you’ve imrpoved in just 3 distros, Let me thnk you very sincerely about it, Mint is the state of the art on OSs from my Systems Engineer perspective; Keep up the good work you’ve done so far. Thanks for Gloria, Helena, Isadora and Julia. ¡¡¡¡Felicitaciones por el magnífico trabajo!!!!! Liked LM 10 RC, waited final, now downloading it! Great job guys! Tank you! Congratulations. However, I will be sticking with 9/LTS. It’s just too good to mess with. Nice work Clem. You guys have restored my faith in Linux! Great News!!! Is there an Alternate DVD that I need to install for software RAID? Thanks for all the hard work, also waiting for the KDE64 edition. WOOOP WOOOP!! Congrats to the Linux Mint Team! The ABSOLUTE, VERY BEST version of Linux out there. PERIOD. Awesome job Clem and everyone involved. It may be a bit soon, but is there any roadmap on the KDE versions? I tried the rest now I’m trying the best thank you very much Great work Team mint. Congrats Mint! However, wifi is broken. I can get wifi running 9 live disc, but I cannot get wifi when I run 10 live disc. Where are torrents downloads people of Mint?? Your site is down and torrent downloads are infact .iso files ?????? Man I’ve been using Linux Mint since the version 4 and I love it, even if some bugs come out, I still love it. After every Ubuntu release my internal timer resets itself and I just wait like crazy for the newer Mint release. I want to thank Clem and the whole Mint team for what they are doing for the community. Like @argentinoandino I agree with him…this distro (that I’ve recomended a lot) it’s the best low entry step for the newcomers in Linux World. Also for the old hardware we can choose XFCE, LXDE or Fluxbox desktop. Congrats to U!! keep working on it. Been using it all day today. It’s awesome!! More power to Clem and Team! You guys are terrific. I am using LM 10 RC for almost 2+ weeks and doesn’t have any problems except the time widget/applet has moved up to the screen each time and vanished. I have also started a community site for India http://www.linuxmint.in. every body are welcome to join and collaborate for the betterment of LM. This theme is sooooooo depressing. Grey everwhere! Also, KDE programs stopped working in LM 10 whereas LM 9 worked while in GNOME. And even in KDE, the programs didn’t work either, there were many error messages. I suggest people who use KDE and the programs to wait before upgrading. Linux Mint leads the Linux pack! What can I say? I’m a huge fan. Congratulations and thanks to the development team. Thank you once again, Clem and the team ! The fsck problem does not remain! Great work Clem and the whole team. I’ve used the 10rc since it came out. Very good. I have the impression it works better than 9. The “cool” theme was something I had to get used to, but now I love it. Now I’m waiting for Mint-Debian in the 10 look. Great Linux! Linux Mint became my favourite 2 years ago since I first tried. Linux Mint 10 very very nice release. I’m trying to Hoke up all off my friends to use Linux Mint and this release make it really easy. It is Great. can anyone tell me what is on the DVD that is NOT on the CD? You could fix your problem downloading and installing the kernel 2.6.33 series. The problems came after that series. Description: Set of packages included in the DVD edition of Linux Mint. Description: All the packages required for multimedia support in Linux Mint. After release of Linux Mint 10,no doubt that it will be no. 1 linux distro.It will be ahead than Ubuntu very soon!!! Make it no. 1 !!!!! I pushed a project to have a Linux distro installed in our school’s computer lab. I chose Linux Mint hands down over all the others for its look and feel and its particular easiness to use for those who come from the MS world. Thanks a bunch for this marvelous piece of work ! Almost 2 years ago I migrated to Arch. I’ll stay there, but Mint is the distribution which I recommend to friends who just want to work and don’t want to play with Linux. Today I had a look at mint 10. Congratulations! Fantastic. My argument against “Linux is not a desktop operating system” is even better than ever 😀 Go Team Mint! Wait for the final version, ends finally. Linux Mint is my favorite Distro (moved from Ubuntu). And whats more, I may make LM my primary OS with this release (I would love to, if thats possible!). Thanks for giving me Julia. Time to move from RC to release. Gee-Sus! Am I blind or what? How come I missed the warning about Julia (Mint 10) overwriting the MBR? I used to have such a nice set-up with a variety of OSes and one very capable and practical boot manager (BING); I want GRUB in the boot record of the respective partition, not the MBR, thank you very much. I guess I just have to spend a few more hours getting everything up and running again… sigh-sigh-sigh. It would be polite on your part, Clem, to warn people about this (or did I really miss the banner?). As far as first impressions go, Julia didn’t leave a particular good one. Hora de trocar a Isadora pela Julia. Wonderful news! Too impatient to upgrade Isadora! Great job. Best release yet! Top notch, thanks for all the hard work, it is much appreciated. Been using 10 RC from day one, nice and stable since I turned off ATI Radeon KMS. Keep up the good work. Wow! I’m currently giving it a try and I’m amazed! Before seeing it by myself, I thought that the new theme wasn’t as good as ol’ green ones, but it turned out that I was wrong. The new look is as fresh as every LM so far, and cooler than never! Once again, elegance comes from freedom. Congratulations! You’ve done it again! Thank you soooooooo much! You guys make my life easier and much nice!! Cheers! Pingback: Linux Mint 10 ya esta disponible! My stupid Scientific Atlanta 2100R2 modem got detected (widely used in Argentina), now i can get connected in a live session! I use Mint to rescue disastrous situations only but great nonetheless!. Switched from Linux Mint 9 KDE to Linux Mint 10, this distro just keeps getting better. Keep up the great work. Might there be a KDE version soon? My first experience with Linux Mint was was version 9. Ok, but nothing to write home about. LM10RC was releases and I tried it as a live cd. Much better than any other distro–I have tried most of the popular ones. It was a choice to wait for LM10. Got it, installed it, wearing the t-shirt. It doesn’t get any better. Finally, a release that works really well. To all who make Linux Mint possible. Thank you. Don’t take me wrong, I am definitely pro-Linux, but I am getting tired of all the hassle associated to the fresh installs. I am not and IT guy, I’m just a regular user, so I only sit in front of my computer to get my work done, not to work in my computer. Of course, I can stay with the current version or do a package update, but… you know the answer. I am not trying to troll my friends, I just want to represent the group of the simple end-users. I believe that fresh re-installs are not the future, at least, not the way they are today. Too much re-configuring and retuning, or re-installing some other software. Too much hassle, definitely not seamless. Anyways, congratulations for the new version. I’ll install it one of these days. Hi, I am ex-user of Windows 7 and Mint is a perfect transition of me. Post install of Ubuntu 10.10 I was searching for more polished one and Friday 12th Nov when this was released I made a point to download it the same day and install. Now this is sole OS both on my Home PC and Office Laptop. Mint Rocks 🙂 Thanks to the devs and team involved in this wonderful OS. I thought Linux Mint 7 was the best, as 8 and 9 main havent worked properly. But Mint 10 blows mint 7 out of the water! Doesn’t work with my nvidia graphics [geforce gts 360m]. Screen turns into a disaster of colors. does anyone know if the 64bit version sounds work perfectly? If you don’t like reinstalling every 6 months, you should look into Linux Mint Debian Edition (LMDE). It has a rolling release, so you just install the updates when they come and you’re good to go. No reinstalling. Installed the final-release not yet. ‘windows manager’ and a shrunk screensize on an old Monitor(Samsung SyncMaster500p, 15inch). Good work by everyone involved! Julia is my new girlfriend. Bye bye Isadora. great…am currently ruined koz of ubuntu maverick and their “r bbish” support. Now I will be moving to Linux Mint cause i heart its freaking great and that the community is ALIVE! Linux Mint is why I left the windows two years ago. I commend your excellent work and I only have one question. Why can not we update the Linux Mint 9 to Linux Min 10 on the way it works in LMDE? It would be great if this could be done the easy way by clicking on an “upgrade to Linux Mint 10”, for example. 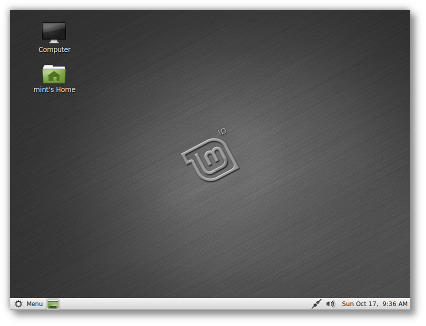 Nevertheless, every new Linux Mint is getting better and just because I install the new version. At last, i was waiting for it for loooooooooooooooooong time! I’m sorry, but mint should be green. Please let me know, is this issue resolved? Cause for me with the 10.10 of Ubuntu/Kubuntu/Lubuntu etc. the touchpad was a big issue. And it was the same on 4 different models of laptops. is it the same here?? А Linux Mint KDE 10 будет??? Now this is soon to be installed. Upgrading OS is never easy, and is never a good idea. But fortunately, Linux is way superior to Windows. So all you have to do, is to have a separate /home partition, and you can install new versions of Mint with loosing your preferences and Data. Today I would Like to say it been “1” year since I been using Mint. wow now with version 10 its awesome I will never look back at windows with there big hungry resources. Mint 10!!! way to go LOVE the theme easy on the eye and it just runs sooooo fast only 6 sec to boot..
first my compliments to all developers for this fantastic piece of software, called Julia, that i installed yesterday. the mouse kind of like stops for 2 milliseconds and then it works again, like it jumps on the screen. the same with my external mouse (using a laptop). Thanks for such a brilliant distro. You all did a Great Job!!!!!!!!! Mint really rocks, because almost everything works perfectly. I have just missed the beautiful green mint icon on mintmenu, but that was not a big deal, because I quickly figured out how to change it. I also had to do a little trick in order to get transparency on gnome-panel. Maybe the theme would be perfect if it could allow transparency without the need of changing gtkrc file. Is anyone else having problems connecting to the linux mint website to download the new operating system? This is the best by a wide margin. I can’t offer enough congratulations. Well done to Clem and the team. Fabulous work!! so, there is still no fix for the touchpad / mouse issue? it freezes etc. all the time. I had to re-install 10.04 / LM 9 to get it to work OK. I cant boot from live usb.. help..
compiz (core) – Fatal: Software rendering detected. Some websites have multiple departments that need to be contacted. Thats a few random tech sites plus the first page of “online pc magazines” (at least in MY browser). I’m getting pretty good with the “about”, “contact us”, and “editorial department” links! Heh. Something like 20-22 emails (believe it or not) in all. That should provide the critical news to some popular sites and encourage a little acknowledgment. I hope others might also take a little time to either donate, or spread the word (OR BOTH). Thanks again to the Mint Team for an AWESOME release! Cheers! And the dream of a Complete linux office err NO! I’m really impressed with this latest release of Mint. The installer was always high quality and functioned well, but now you guys have really polished it and given it a highly clean and professional look to go with it. Very streamlined, very clean, excellent job. Also, the overhauled Mint theme and the new icon set give the desktop and menus the same super clean and professional look to go with the quality already present. Haven’t encountered any problems yet, excellent job guys!! You’re the reason Mint is the #4 most used OS!! I’m running it on an iMac. It’s the fastest Linux I’ve used so far. Do you care to elaborate? How is LM 10 “just another lame Ubuntu spinoff”? It includes a number of tools created specifically for Mint, an intuitive and usable interface, and functions very, very well as a desktop OS. By saying “Ubuntu is a noob quasi-distro,” without backing it up, you appear to be regurgitating the same old flames that fans of other distros continue to throw out against Ubuntu, and you sound a bit noobish yourself. I am glad to see that Mint is beginning to embrace a Debian base, and I am using LMDE myself, but to dismiss Ubuntu and anything Ubuntu-based as something merely for noobs (despite all of its successes and that fact that it *IS* actually easy to use, so maybe that is a compliment? ), and to call it a “quasi-distro” (what does that even mean? Is it not really its own distro?) is rather ludicrous. Despite its shortcomings (or rather compromises) Ubuntu has done a lot to help get linux onto desktops for people with and without CS/IT degrees, and Mint is even better. I’m nearing three years with Linux Mint as my main OS, now accounting for 95% of my computer use. I already have LM 10 on a flash drive to use as a portable/persistent OS. @sean – Trolls can be found everywhere–even here. Best to ignore, yes? Pingback: Linux Mint 10 “Julia” released! « My Notes.. !! Mint 10 is not ready for prime time. Especially if your hardware is old. Hardware that worked in linux Min 9, will be hard if not impossible to make it work. I regret to have upgraded. If I get tired, I will go back to Mint 9. So cool, but sooooo heavy..
im running this on my portege m200 laptop, and it running slow..
my mouse pointer often stuck when i moving it arround my background..
I’am running it from yesterday and i’m realy happy with it! (Mint 9 before). Everything is much more responsive, looks like very good work! Thank You! Thank you, am currently using LM9 and will upgrade. Linux Mint is great, keep going! This OS is just perfect, it is fast, it takes no memory and it has an awesome interface. The Linux Mint menu is simply awesome. I seriously like Linux Mint OS and I recommend it for everyone; experienced user or new user to Linux. I give a 10/10 for this OS. how i upgrade to 10 from 9? LINUX MINT TE AMO! La distro perfecta. LML (Linux Mint Lover) ! After so much try…from Helena….It is so cool and easy…Lovely color scheme…Thanks a lot Julia Team !!!! Really Amazing……. some of the included especially from Mint 9 are blurry or pixelated in a bad way, and even have a bad color compression like for example the first two shown here: http://blog.linuxmint.com/?p=1374 . I think they harm the quality criteria of the default bundle. Amazing, just amazing! I’m a long time Ubuntu user – and don’t get me wrong I love ubuntu, I always customize my desktop one way or another, when I saw the style Mint was using on 10. I’m like I gotta try it. This + BTRFS makes it so perfect, my VMs work so much better, my data’s not being corrupted like EXT4 was. And I didn’t have to spend hours downloading the same codecs and that I install each time I do with Ubuntu. This is PERFECT! still, the touchpad (known bug) for many synaptics pads makes it crap. other than that, great distro and I love it too! Please help me on wireless card driver. i have dell inspiron 1420 dual boot with vista.and dell wirelss 1395 WLAN minicard . Since it looks Mac-ish out of box, I decided to run with that feel. I set the panel from the bottom to the top and set the panel on autohide. I’m using Avant Window Navigator at the bottom of the screen for frequently used distros. Nothing else on the desktop — clean, simple, powerful computing for school and personal use. After installing Wine, I found that I have the best that Windows, Linux, and Unix have to offer in one system. Thanks Clem and Team Mint for this awesome distro! running on pavillion dv7 the best linux dist so far thank you. Sorry, but don’t like this version of linuxmint julia, will keep using ubuntu 10.04 because with julia I wasn’t able to install drivers for my canon printer like I did in isadora and lucid linx. On my laptop (Dell Vostro 1100) I had Isadora installed last year when it was released and I was very happy how it performed: fast, stable no problem with drivers. When Julia was released, I was very happy and I hoped that this is even better than Isadora. So I installed not by upgrading, but by formating all HDD and starting with fresh install. Every day since then, I become more disappointed by this version of Linux Mint. The overall speed of the system is not so good as with the previous version, after waking up from suspend state, all screen elements are stuck for few seconds (first time I thought that it crashed) and CPU usage is high while doing nothing (no application running; only the OS and it’s services and NO apache, mysql or other custom services). Bottom line, this version (Julia) locks good, but, to me, seems slower than the previous one (Isadora), so I will try something else. the new default theme is just awesome. all the orther versions of mint look’s dark and horrible. this theme is 10/10! just perfect! Wonderful release, thank you! Even better than Isadora, Linux Mint is quite perfect now! This release has some nice stuff in it. A critique I got is about the installation process… it would freeze and stall if it can’t connect to the timezone website. And there isn’t much you can do but go into Terminal to kill the process and start again. Long time Ubuntu user and even longer Linux user here. Linux Mint 10 is the OS I always wished for. I am running it on a Samsung (intel i3) laptop. It is stable and beautiful. 2. is a focus issue with the desktop if during the above creating the button you have the panel selected to add the button normally if you click any where off the the panel i.e. to another window, i would have expected the panel to just disappear. it stays until you click the menu panel again. Have it just 1 week but i already love it how i did’nt loved any other distribution ever! THX!!!!! My quad core processor and 4GB of ram are not enought to overcome the fact that open source video drivers are terrible. I could not find a way to make Mint run smootly enough to be usable on my dual monitor setup. My system runs fine on XP, Vista and 7, but both on Ubuntu and Mint my Radeon X1250 makes the experience totally unusable. I will stick with Windows 7 for now as it run very smooth. I will probably try Mint back when I upgrade my computer in about 2 years. Mint 10 is the best since Mint 7 – reliable, fast and able to recognise my router, wifi and printer. Furthermore, I can suspend and recover with no bother, something I couldn’t do with Mint 8 and 9. The Software Manager is a dream to use. For those interested, I run Mint 10 from a 2Gb USB pendrive, the installation on the drive is created using LiLi USB Creator. It is extremely easy to use with the advantage of producing a persistent file unlike UnetBootin. I really want to upgrade to this, but on my laptop I have to set acpi=off to boot to the live CD or else I get a black screen trying to load the disc. I’d really like to upgrade but I don’t know what the consequences would be if I kept acpi off. To be honest, I am not really impressed with the new linux mint 10 julia release. I booted it live from my usb and checked the looks, the feel and the features in general. Not impressed!!! Sorry!!! It is pretty much the same as linux mint 8 helena. I am now running linux mint 9 isadora Kde. It is by far better than the new release.So I am waiting for an other version of linux that can really beat linux mint 9 kde. Sorry but I don’t like the new theme. I don’t find Mint 10 better than Mint 9. I like it. Looks cleaner and brighter. It’s kind of like turning on the lights in a dark room compared to v9. I like the new icon graphics but no so sure about squaring them off, it’s kinds of like copying iPhone icons. All-in-all, I like it though. I was running v9 on my laptop till it died and I was without a computer of my own for a few months, and when I got this PC, I decided to put v10 on it. I have been a Linux Mint user since v3 Casandra. Prior to my switch to Linux Mint, Linux was more or less just a “toy” for me (since mu introduction to S.u.S.E. 8.2 Pro) as my real computing was done in Windows XP, I stuck with Suse till v10 and thinking it was becoming too bloated and slow, I shop for another “toy”. By chance, while working with converting to Ubuntu, I happened across Linux Mint. Linux Mint became “my Linux” since v3 and became my “serious” (and ONLY) operating system I use for EVERYTHING since v4 Daryna. I dumped Windows XP and have not turned back have not used any other Linux distro since. Linux Mint 10 is an excellent distro. Thanks again and keep up the good work. Thank you Clem and the rest of the Guys behind Mint for this exelent Distribution ! I’m downloading the 32 bit image, loading my spezial pakets, and remaster it with remastersys. Now “my” Mint 10 run on my Desktop and on my HP Pavilion fantastic. I used Linux some years ONLY and the last years only Linux Mint. For me the best Distro from all ! Thank you again for the hard and very good work !!! I’ve already used linux mint 9. I like to use it because it’s more user friendly compare to the other distro especially for me who regarded as a new comer. Thanks to developer. Good job. I have used LM10 for about 10 days and gave it up. The calendar is not good.. its way up than the usual place, the system hangs many times, the new theme is too pale and many more discouraging factors. I still appreciate all the hardwork you guys have been doing. It may be just my netbook that isn’t compatible with LM10 yet. Restored my favourite LM9 and its good so far. Trying LMDE as well. Hoping to see compiz working in LMDE soon. So i had to downgrade to 2.6.34 -Now no issues. Thank You! The OS is great, learning it. Have enjoyed all Distributions since Gloria. Again thank You, peace! Great great this version, good job and continue to do this. Is there any possibility of future releases of mint with the live CD/DVD designed to NOT set the computer’s clock from the Internet to Grenwich Mean Time (because the time zone is not yet configured)? Alternatively (or even additionally), if users of the live CD/DVD do have to set the time zone each time they boot, could the time zone selection automatically set other regional default settings (such as local date format, measurement units, default language, paper size…). This would increase the value of performing this little chore. If this is too difficult for some reason (presumably related to the customization of Mint from Ubuntu), perhaps a facility to customize settings before burning a live disk would make the live disk more user friendly. what is the difference between oem and the dvd or cd version. great but, i can’t make wol my zte modem…. why dont create a lighten version of LM? what is the difference between the oem and dvd or cd version of mint 10? pourquoi svp , quand en sélectionne installer en français , le langage du system est englait et français au meme temps ? Here’s an idea related to my post above: It is possible when running from the live DVD to make adjustments to the currently running live environment. How about a facility to then store the entire running live environment (as customized) to an ISO file (on a physical drive) which could then be burned onto a new DVD (either on a system with more than one DVD drive or after the system is rebooted from a hard disk). Of course, if one were to customize it with so much extra stuff that it won’t fit on a DVD they would have a problem, but it would take a LOT of customization to do that to it, and it would only be possible after multiple generations of customization. USB drives are not ready for this software boot time .. Install Linux from USB, this is no big deal, but the USB drive must be marked as boot and LBA, to try to start computer. Software designed for this activity can not cope properly stim ..
As you Linux Live USB creator fucks a USB drive, so turn on your favorite software and change the boot record of your USB drive to boot, mark it as active MBR. I have the experience that it is an older composition distribution much simpler .. Excellent release. Apart from a strange glitch with the mouse ceasing to work when the wireless tries to automatically connect, I am happy to have upgraded. If the battery meter is to be believed, this release has added an extra hour of battery life to my netbook. Excellent!! And I love the theme. Very easy on the eyes. great work guys. I have an Acer laptop with windows 7, i was looking for a linux distro to install and make have dual boot. Followup to my last post: Holy Mackerel, I can’t believe how much longer my netbook battery is lasting with this release. Finally I am getting close to the battery life that Samsung advertises for the N150. I’ve been using it solidly with wifi on since noon. It’s now 3:45pm and the battery is still at 57%.